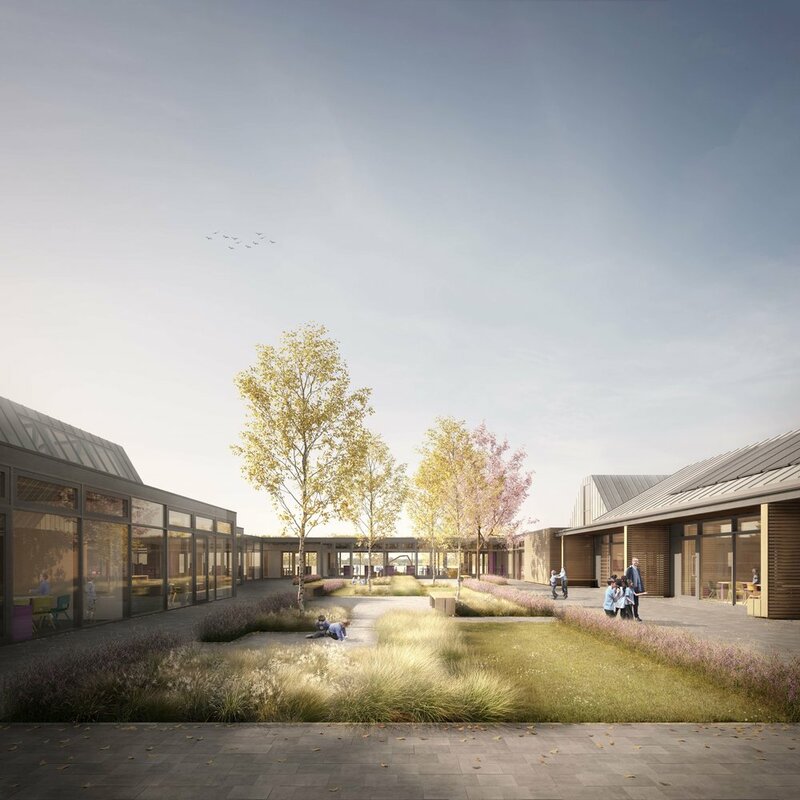 Proposals for a new Two Form Entry Primary School design as part of a major development area and urban expansion for Winchester. The 1.8ha sloping site overlays chalk and is to be located close to the centre of a new 2000 home development currently under construction on the edge of Winchester. The landscape is to be remodelled to set the building on a raised plateau with grass sports pitches at a lower level. Using 3D ground modelling software, the landscape design has been detailed to achieve a cut and fill balance across the site. Rainwater from the roofs is to be harvested for use within the school and water run off from hard surfaces attenuated on site using swales and porous paving. 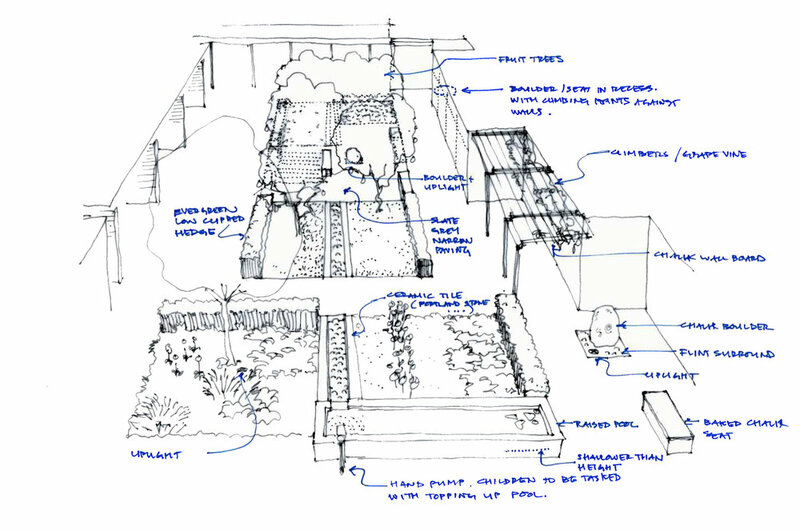 At its centre a rain garden is to be created to provide an open inviting learning resource for children. The courtyard is to be planted with fruit trees and sensory planting to provide all year interest. A separate YR playground will provide shade, soft surfacing, sand play and growing area which will be enclosed by a new Teaching Development Facility for Winchester University who will manage the school. 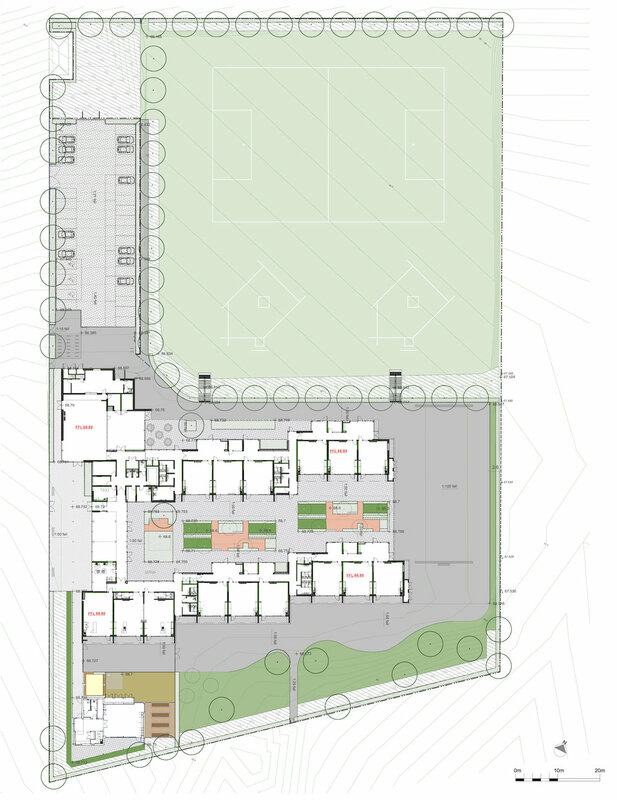 The primary school design allows for a future one form school expansion. This includes additional car parking, cycle stores, hard courts and natural turf pitches and will allow the school to continue to function with minimal impact when the school is expanded.